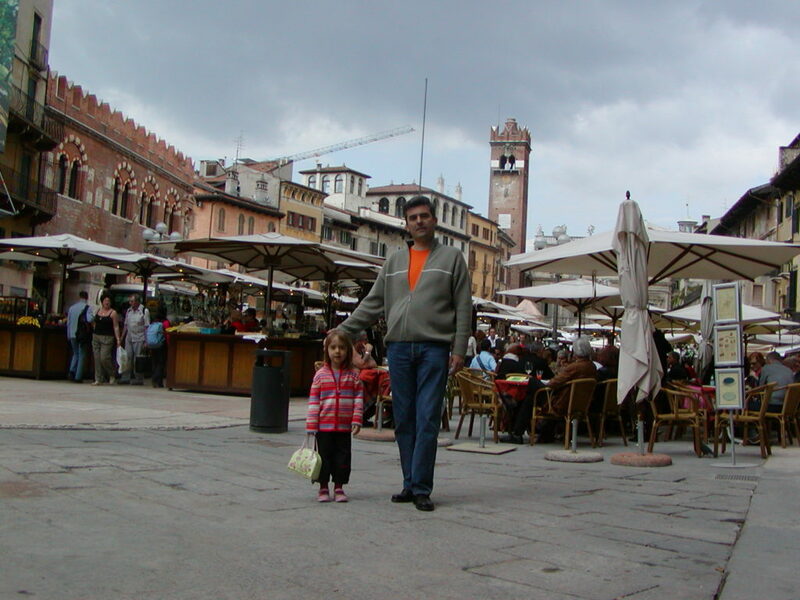 I am pretty emotionally attached to Verona, because sixteen years ago, I spent a couple of memorable days there for my honeymoon. 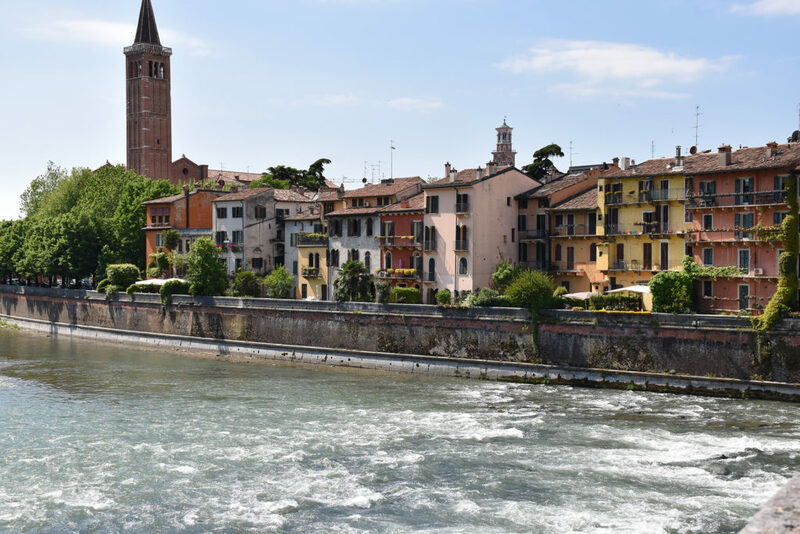 Well, where else would the new bride and groom go, if not to Verona, the city of a famous love story? Since then, I’ve been returning to it at least once a year. 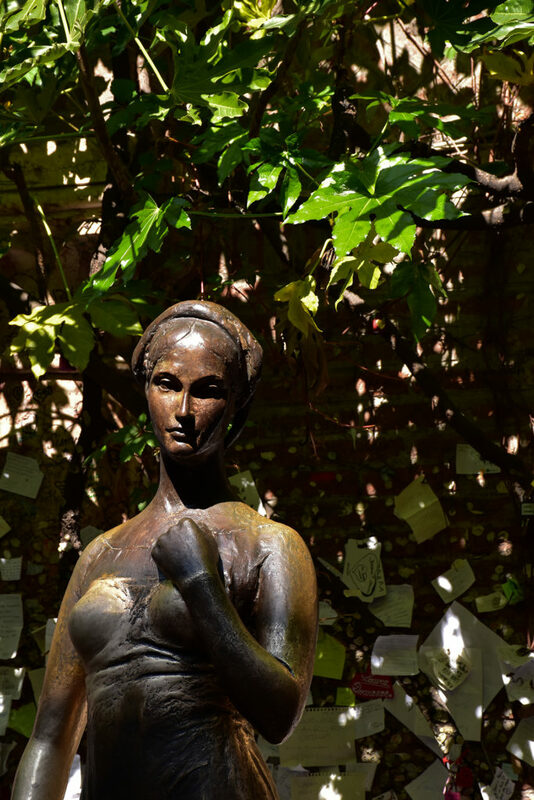 This will probably be just the beginning of the story about Verona, because there is so much to tell about that little town and I’m going to leave the story of Romeo and Juliet for the end. Verona is only 870 kilometers away from Belgrade, so you can easily get there in a day, because there’s a highway all the way to there. 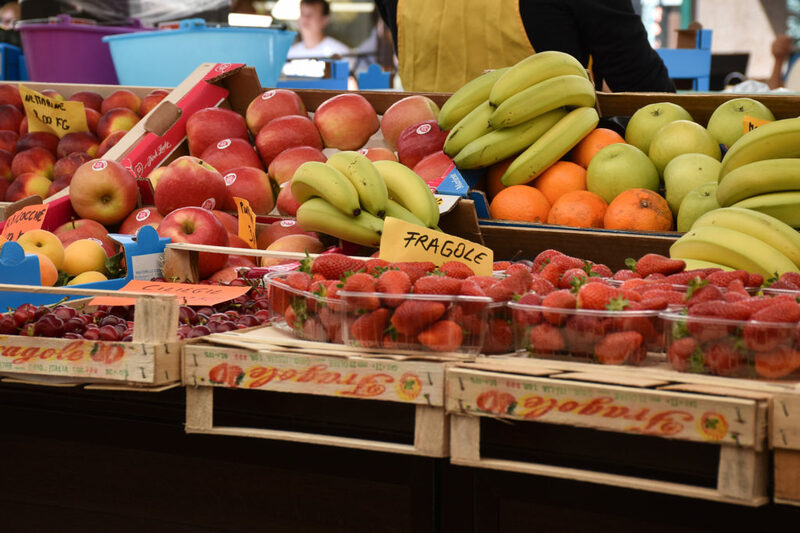 You can even include two shopping sprees I mentioned in the post about the winter magic in Val Gardena to your trip to Verona. There are numerous options for spending the night in the town. Personally, I have a school friend there at whom I often stay. Unfortunately, those who don’t have such an option, can decide for one of the local hotels, or online booking reservations, http://www.airbnb.com for private accommodation. 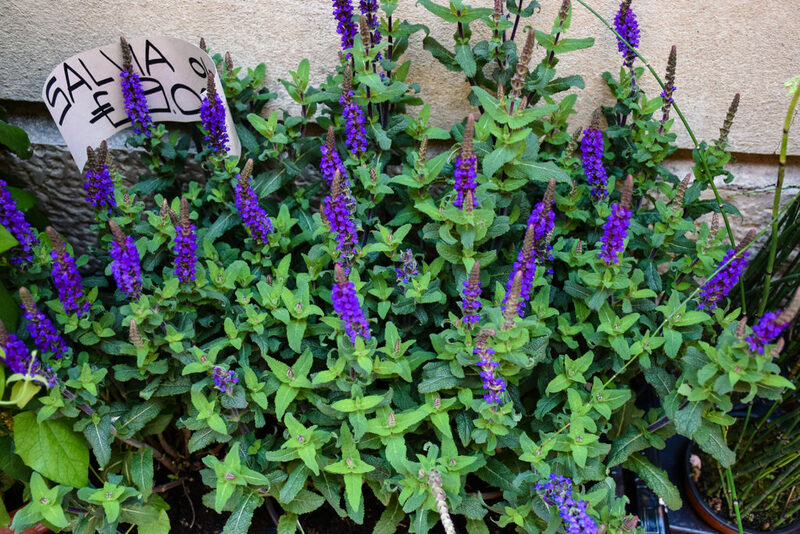 I’ve tried all of the options, and it’s always the best to stay at friends, it gives the whole trip another dimension, but the Best Western Hotel ‘Firenze’ is a great option too, as well as a private accommodation via airbnb (I had a lovely apartment there, just a one-minute walk away from Piazza delle Erbe, and that is next to the pedestrian area). 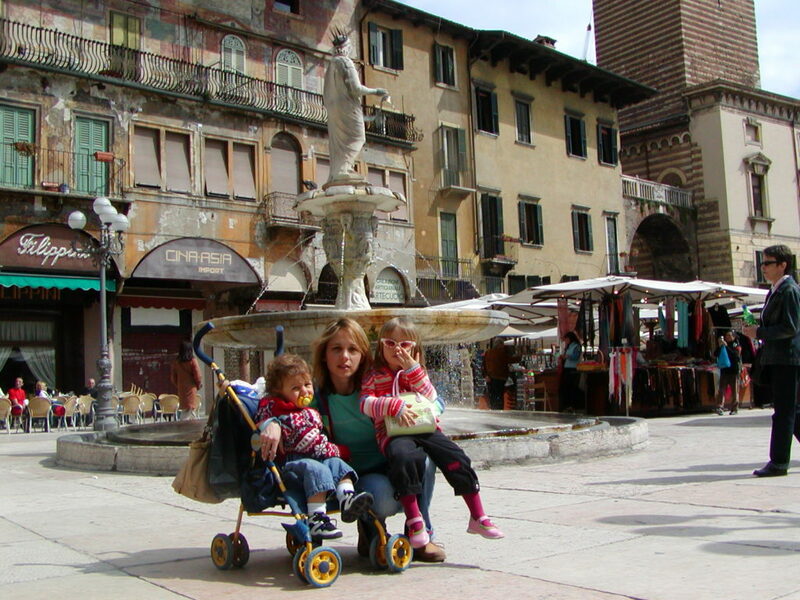 How to take a tour through Verona? There are various options, but it’s best to do it on foot, because it’s not so large, and everything is kind of compact and in one place. 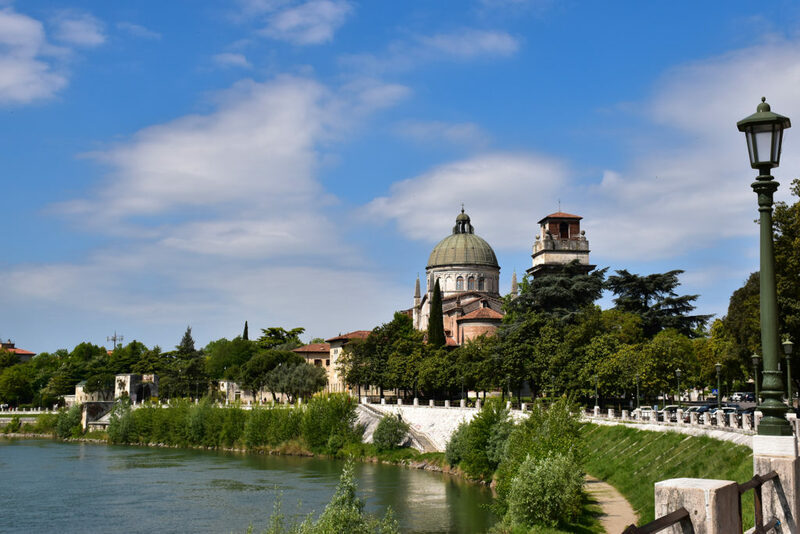 You can find cycling, Segway, Vespa, or even rafting on the river Adige in the travel agencies. I mean, to be clear, that rafting options can never be the same like rafting on river Tara… that is just a boat ride down the river Adige (a tamed ride). As I know a lot about the city, it will be very difficult for me to start from the beginning, to mention only basic things and not bore you. 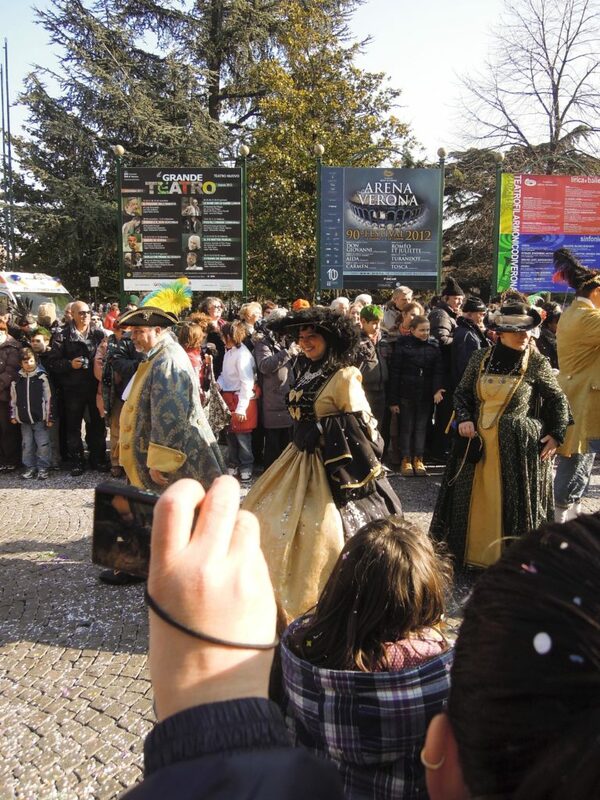 It is not exactly known how Verona got its name, there are just legends. One of them is that Gallic chief Brenno called the city ‘Vae Roma’, which in translation means ‘Damned Rome’ and later it became Verona. 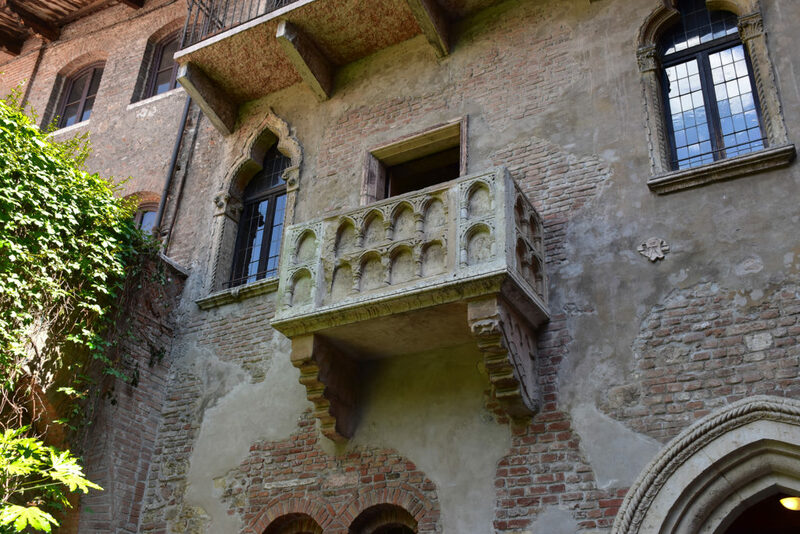 Most frequently, Verona is connected to the story of Romeo and Juliet, but besides that, there are also a lot of Roman monuments which have been very well preserved throughout the centuries (e.g. Arena). For me, this town is a musical and cultural hot spot of the area it belongs to. One of the famous musical conservatoriums is set here. Those who are enrolled in it are frequently Serbian students. Consequently, there’s plenty of classical music and their concerts in one place. Every year in June, July and August, there is opera tradition in the Roman Arena which is worth every cent spent on it. It is a magnificent event where you can see and hear outstanding music and the best known operas worldwide (Carmen, La Traviata). If you have a chance to experience this event, be sure not to miss it. The city looks wonderful then, like enchanted by some long past times. 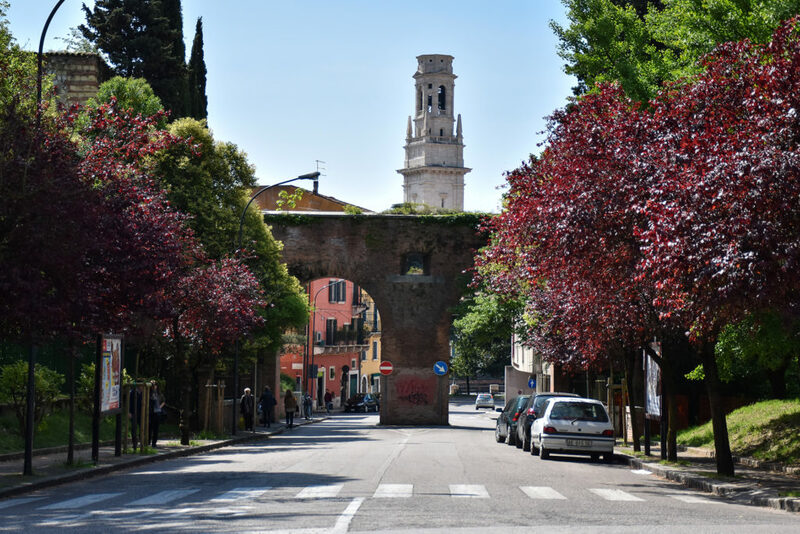 Most frequently, I entered the city through the Porta Nuova, a stone gate on the entrance to Verona. 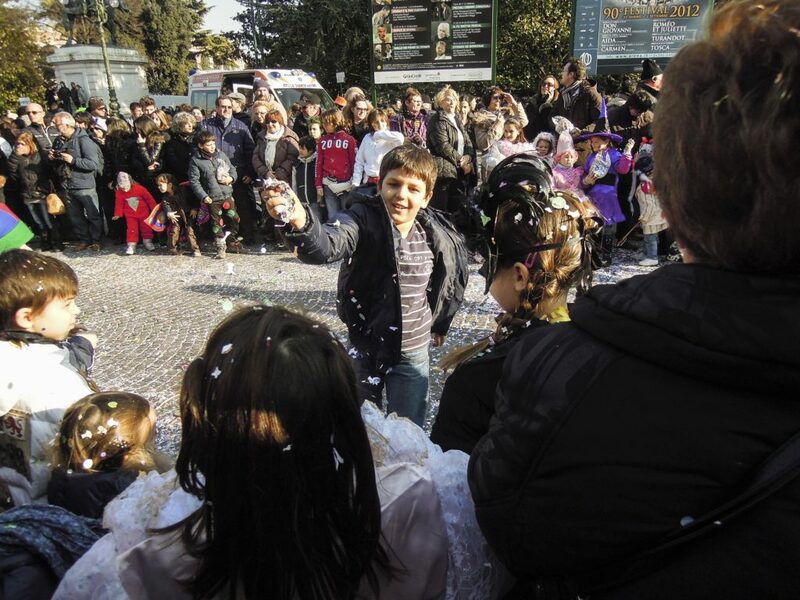 It is on the homonymous Piazzale Porta Nuova. Right there is hotel Firenze, if you want magnificent breakfast with all of the Italian elements of gourmet. When you enter the front gate and continue along the street of the same name, you come in front of the glorious Arena. Arena is an amphitheater in Roman style on Piazza Bra. 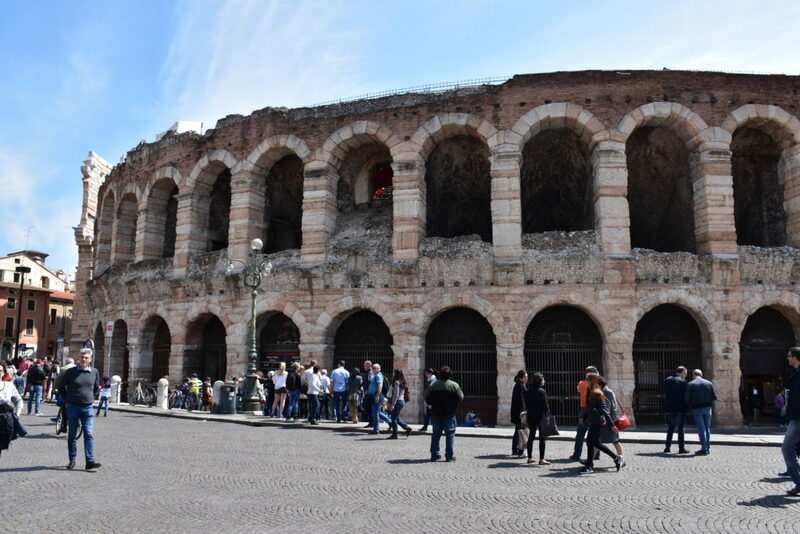 It was built in the first century, even before the Roman Colosseum, and it is used even today (above mentioned musical opera festival). 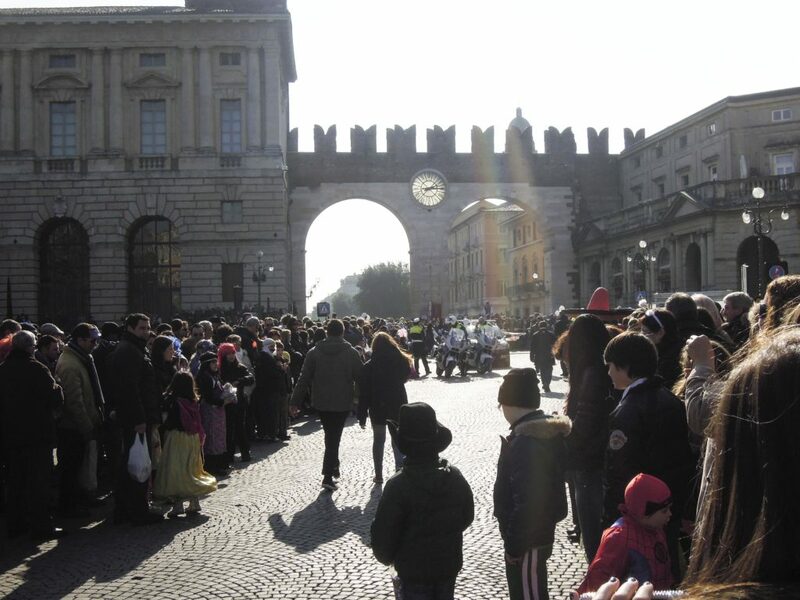 On Piazza Bra, if you turn around, you can see Palazzo Barbieri, which today is a Town Assembly, Portoni della Bra, the city gate with two arches onto which there is a grand clock, Palazzo Gran Guardia, built in the 17th century. 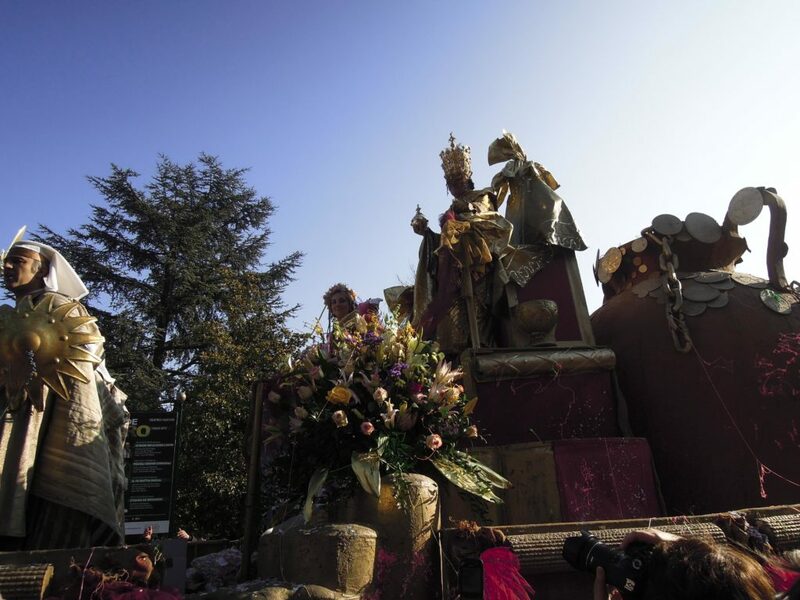 Today it is used for exhibitions and cultural manifestations. 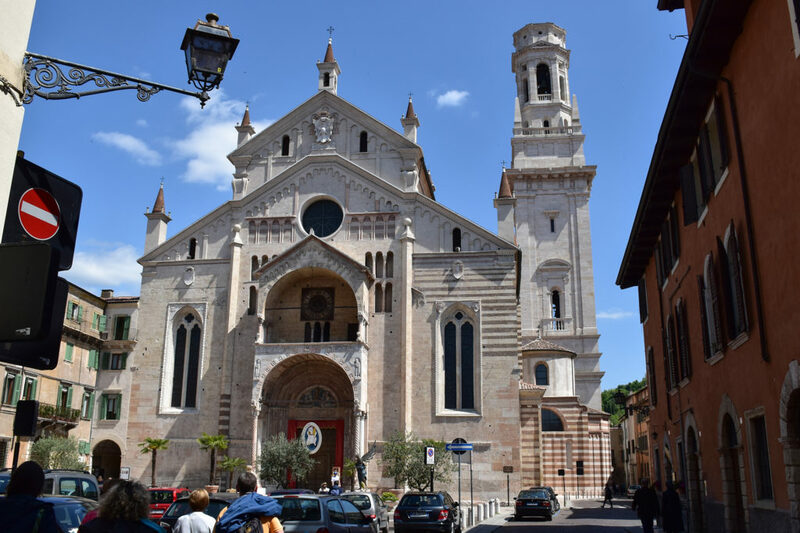 Verona is crammed with churches, so I am going to mention only some of them. On the other side of the Arena, there is Saint Nicholas’ church, built in baroque style in the 17th century. 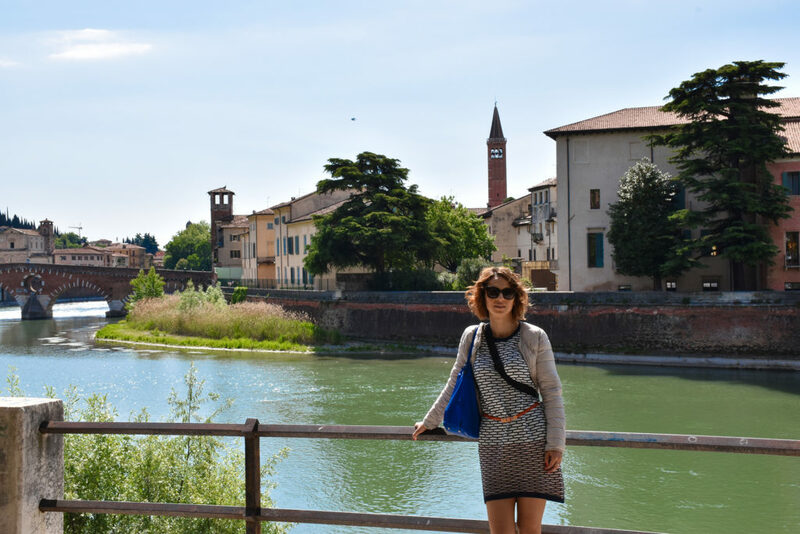 When we’re already on the river Adige, we should learn a thing or two. Its source is in Alps, near the Austrian and Swiss border. 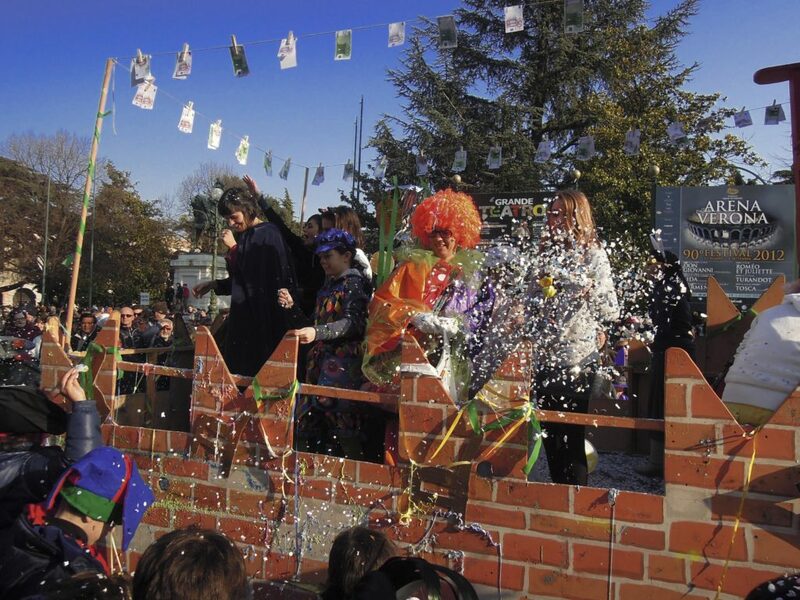 It is 410 kilometers in length, reaching Verona on its way (second-sized river in Italy). I had the chance to see it almost overflown. The water came up to the wall edge and carried everything in front of it. 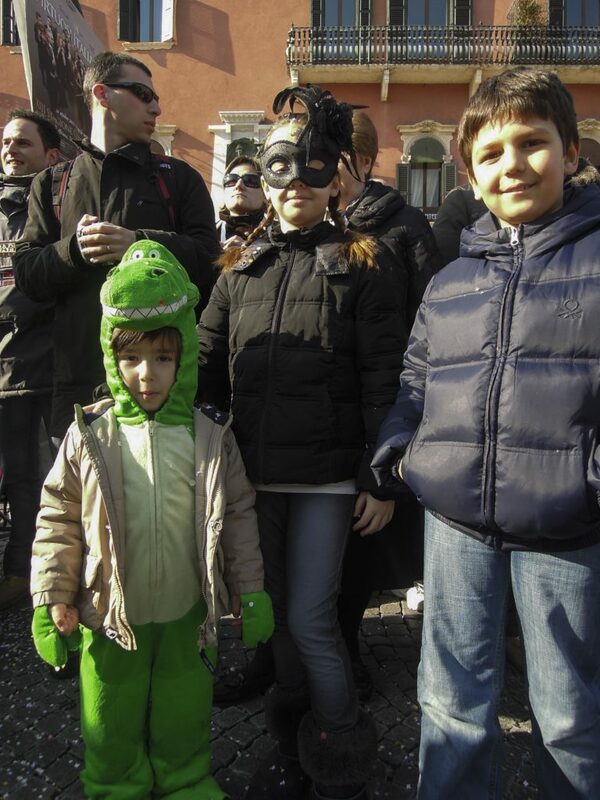 It was more than 6 years ago and it remained so vividly in my memory, because it looked very eerie. 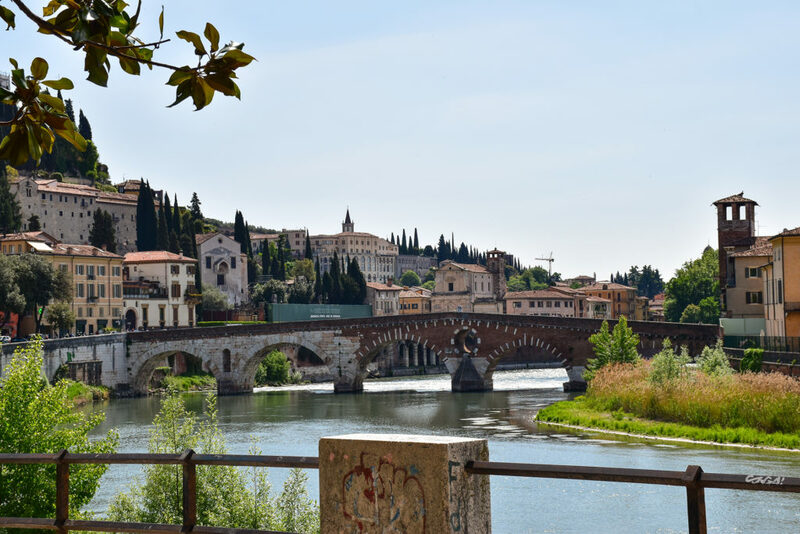 There is a long promenade along the river in Verona, where you can certainly get away from the hustle and bustle and when you get tired of all the monuments and museums. When I spent the night at friends’, in order to get to the old town, I had to come across one of those beautiful bridges. 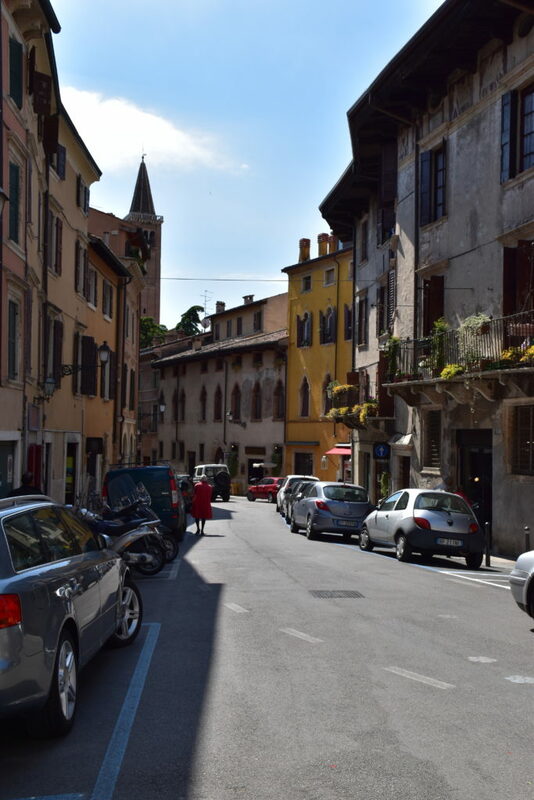 Immediately upon the arrival, I found myself in vivid narrow streets with old buildings, filled with soul. There are plenty of little restaurants in Italian style there. 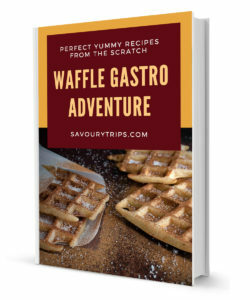 I would recommend them, and Italians visit them too. Now, a quick walk to the city center again. 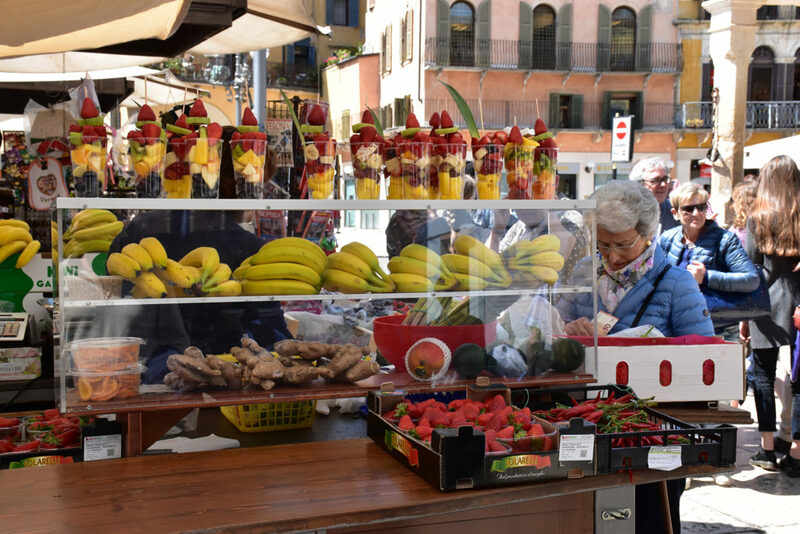 There is a pedestrian area, Via Mazzini, stretching from Piazza Bra to Piazza delle Erbe, and it is filled with stores with famous brands of the fashion industry. A great place for shopping, my favorite kind. One street is all you need. 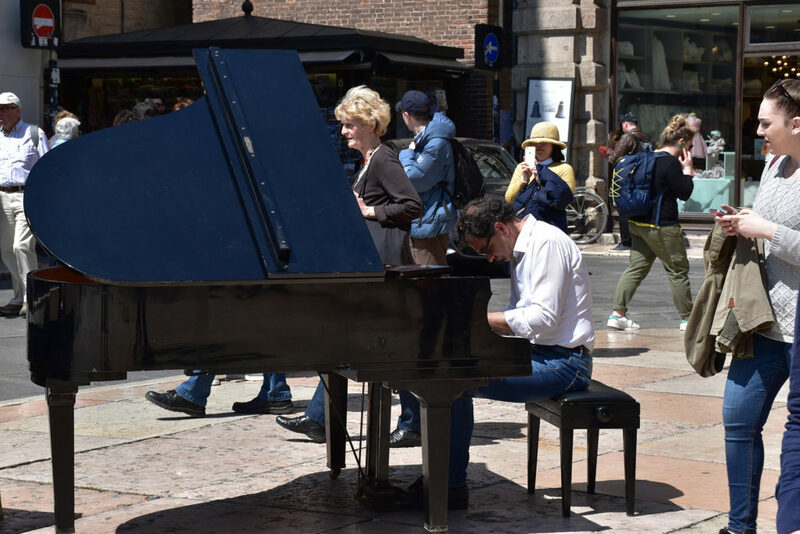 You can listen to a concert or two, as well as sit in some of the gorgeous cafés and restaurants (which are there primarily for the tourists), with a great view on the architecture of Verona and the piazza (which is a market only during mornings). 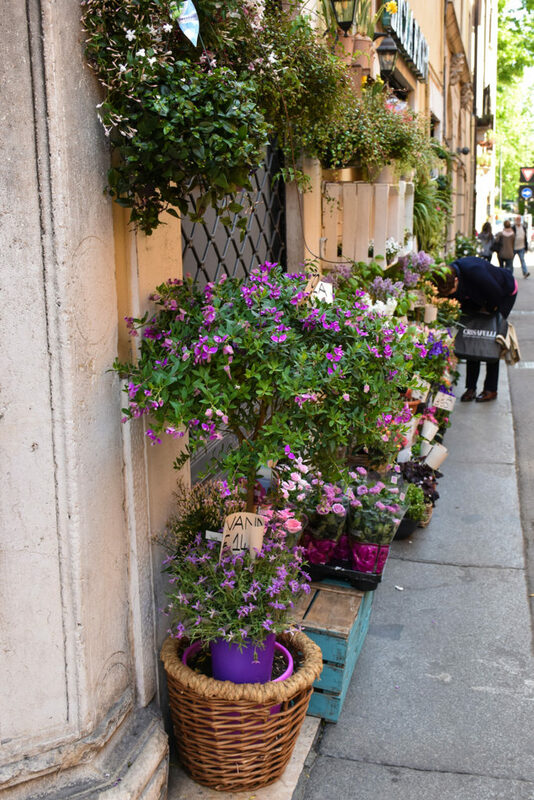 If you like going out in the evenings, the most frequent places (other than discos) are on Piazza delle Erbe and left from Piazza delle Erbe, Corso Porta Borsari, where you can stand with a glass of some good wine, Aperol Spritz, or you can even have a dinner in a restaurant nearby. 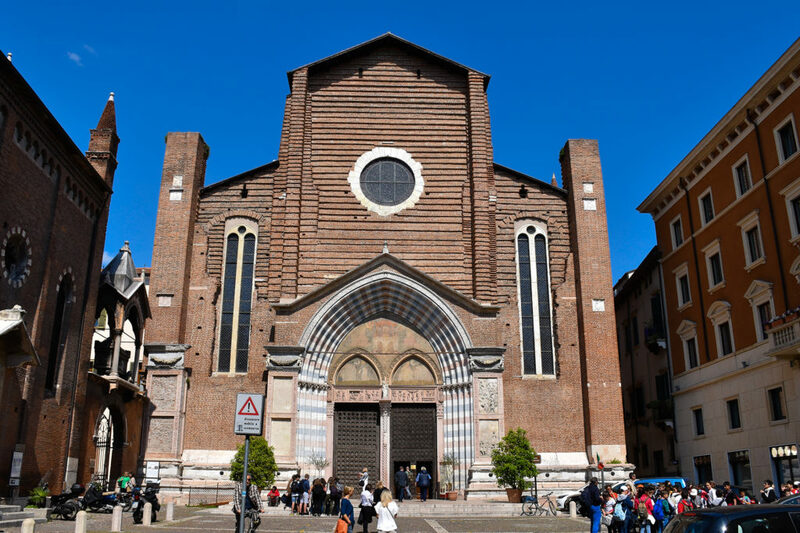 In the immediate surroundings of this square, there’s also the Lords’ Square, which is one of the prettiest squares in the city and the heart of the famous Verona family, Scaligeri. 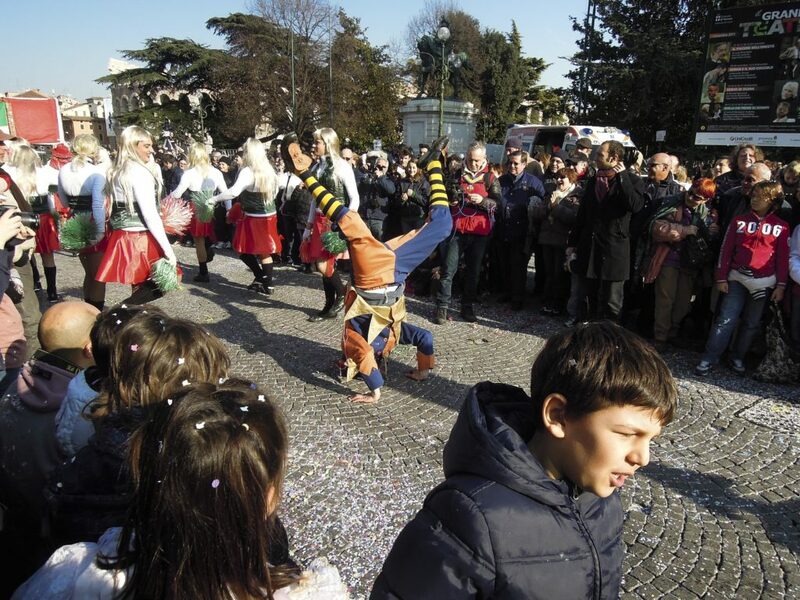 Moreover, on the square, there is Dante’s monument, so this square is also known among the locals as Dante’s Square. 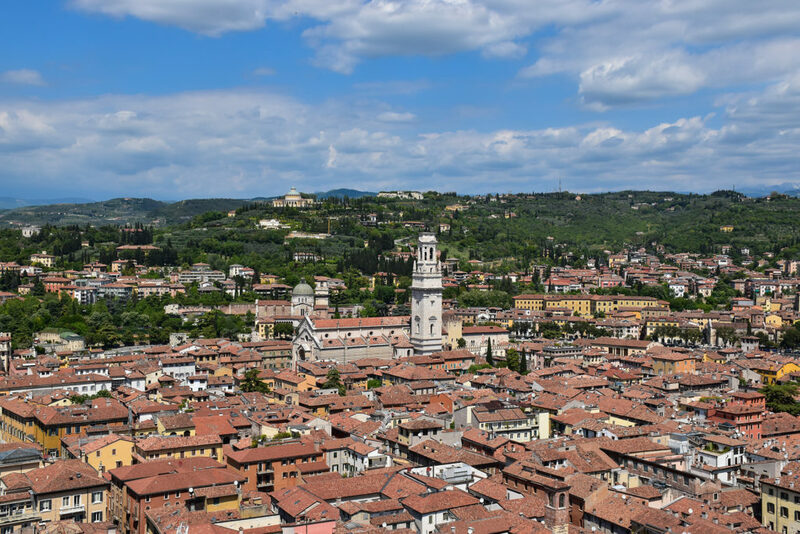 There is also Torre dei Lamberti, an 84-metre long tower, from which there is magnificent view on Verona. You can get to the top by stairs or an elevator, depending on your shape. 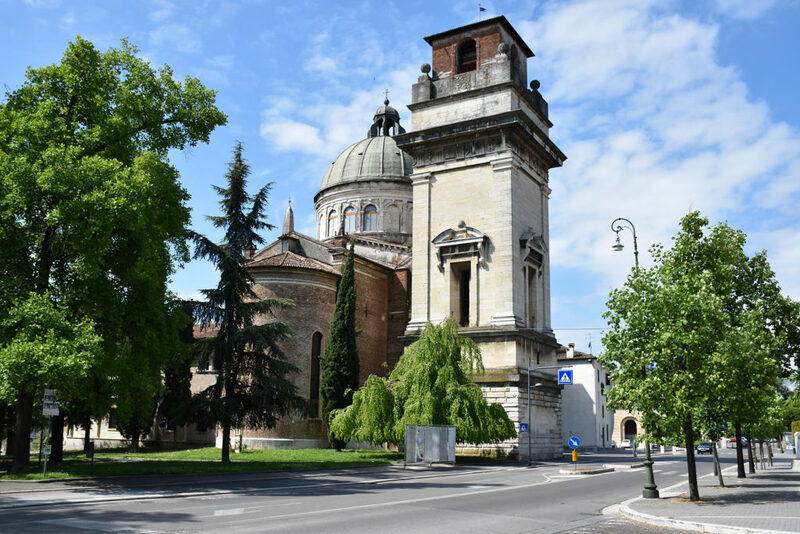 Next to the tower, there’s Pallazo della Ragione, which is now a gallery of works dating from 1840 to 1960. 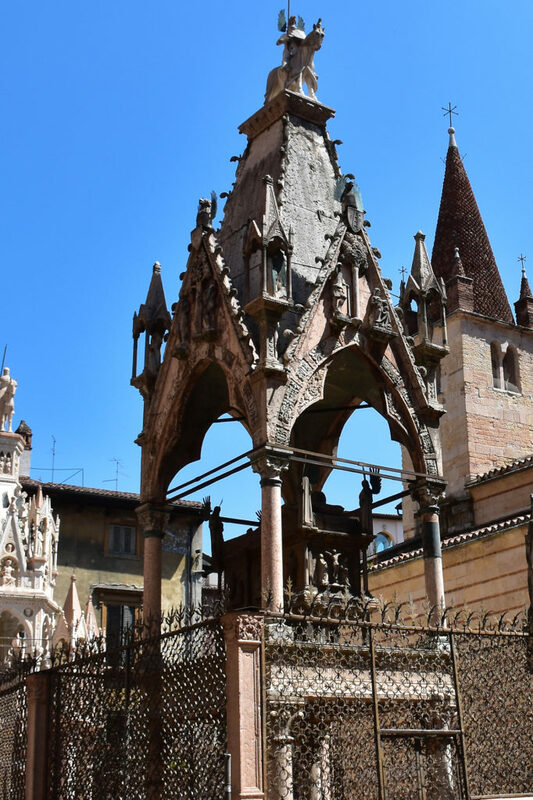 Scaligeri tomb, which consists of 5 gravestones in the honor of the Scaligeri family, that ruled Verona from 8th to late 14th century. 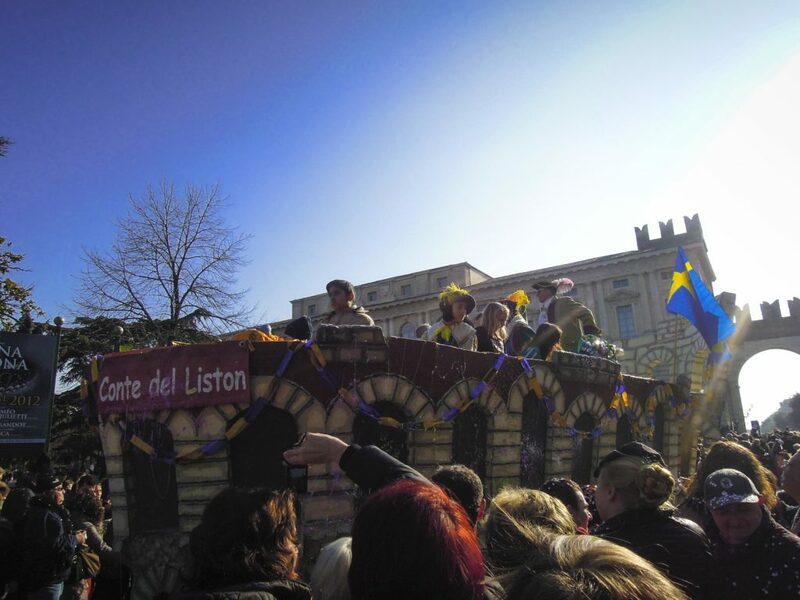 Cassa de Gulieta, for which Verona is famous, is in the heart of the city. 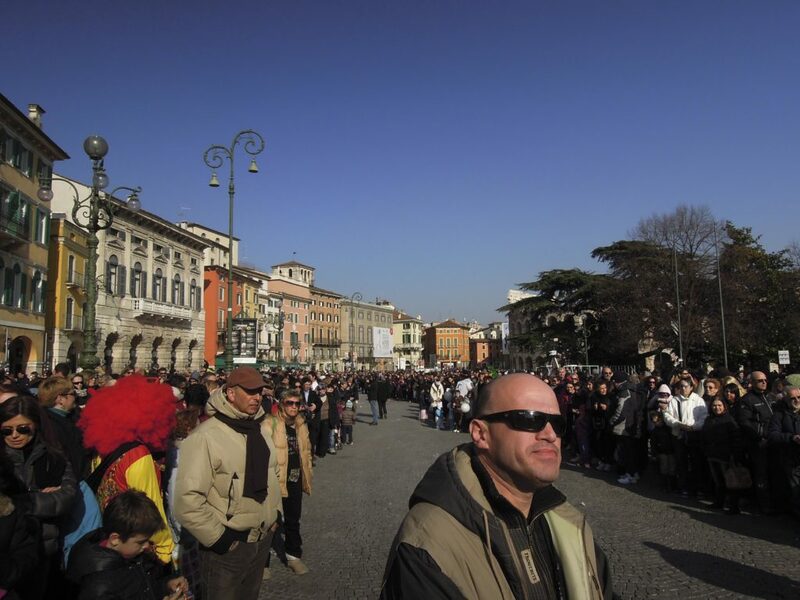 When you get to the part crowded with tourists, you know that is the place. Sometimes you cannot even enter. I must admit that is was only now that I had first entered its backyard because every time I got there I would get bored because of the crowd. There are million people there in one place which demotivates me and makes me leave. Honestly, I think the media has just commercialized it all so well that people actually believe that entire story was true. If only we could learn from our neighbors. We could, well, let’s say, make a grand story of Mammoth and Viminacium… I mean, I’m just saying… they could. 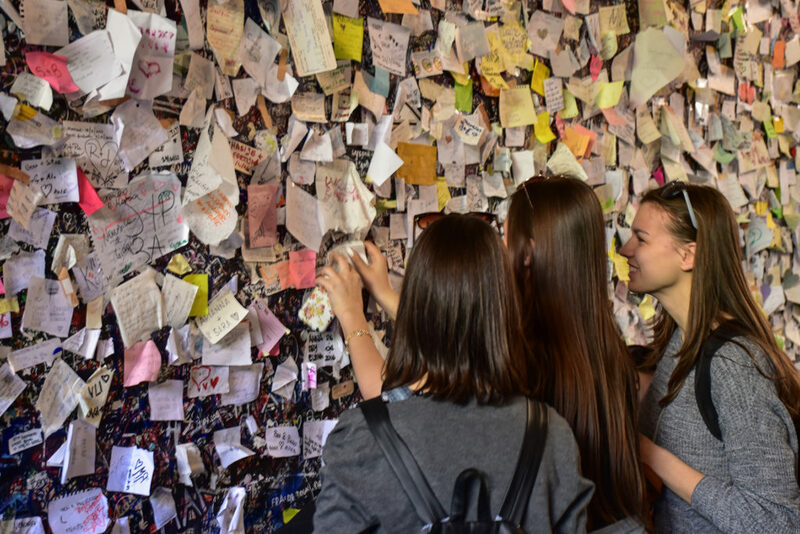 The wall on the entrance to Juliet’s yard, onto which girls put their love messages hoping they would get a reply and their wish would come true. They were lovely and enthusiastic… it is just enough to say YOUTH (Craziness is just across the road, and Joy is right there as well). Romeo is not so important in the entire story and there is absolutely nobody in front of his house. Just a writing on the wall as a memory. Poor him. 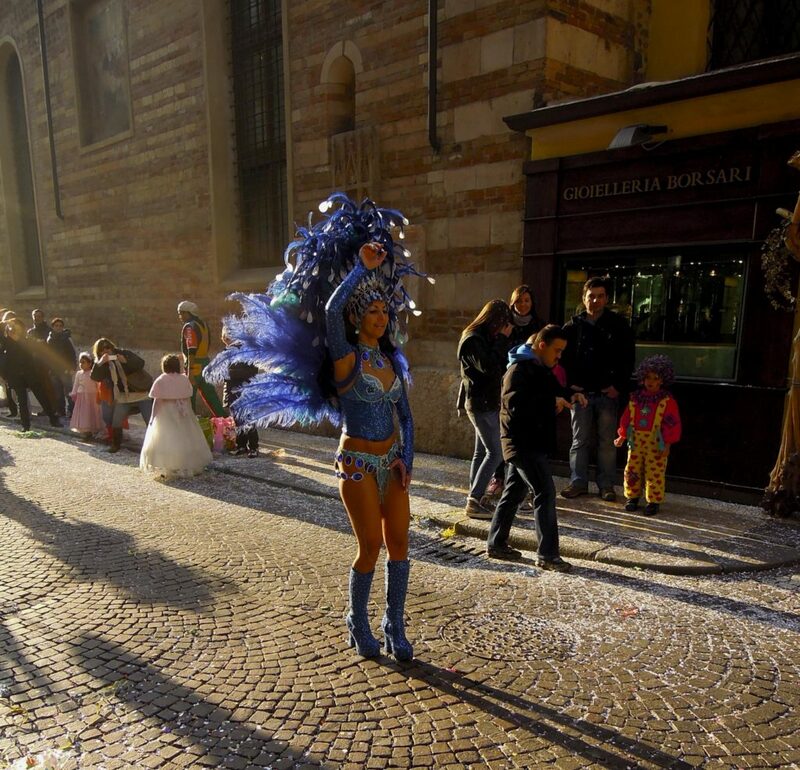 Verona doesn’t only have an old town which intoxicates with its spirit and beauty. If you look across the river on the hill, again, you’ll see much more, wonderful parks and paths. 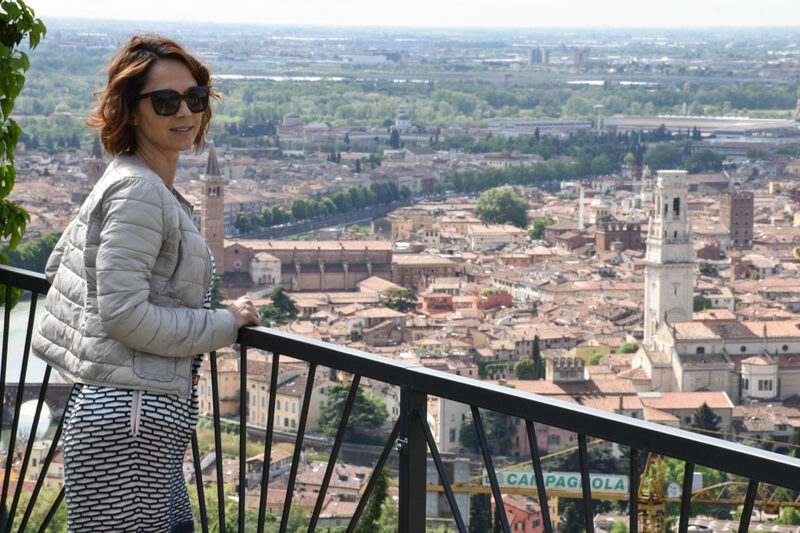 Or a view of Verona from the hill, just like on the palm of your hand. We were a bit younger than we are now. How could all that possibly take place without a court jester? How much this city means to me, you can also see in some other old photos (they are now 15 and 13 years old). 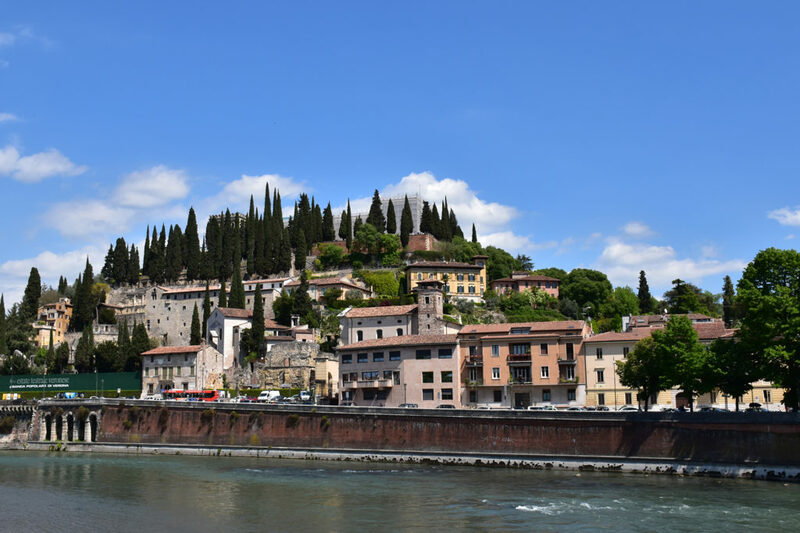 This is only the beginning of the story about Verona… In case you’re interested in some excursions around Verona, I have a lot of ideas about that and I’m going to write about them.